Jumpstart your Summer with Summit- Enroll starting March 1, 2019! 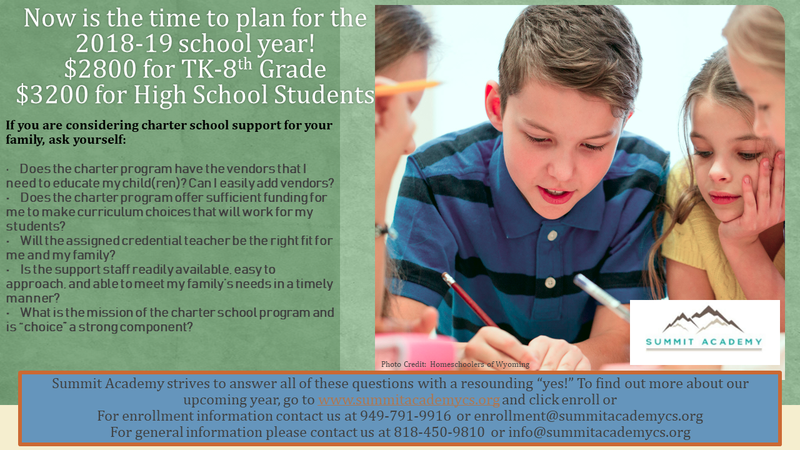 Take advantage of year round education with early enrollment for the 2019-20 school year. All students are provided with funding (up to $500) to use in July and August. Enroll now! 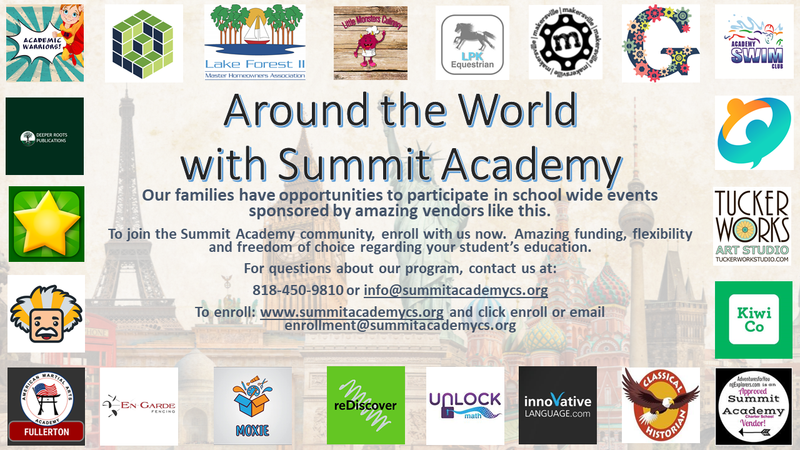 Finish out the 2018-19 school year by exploring a country with Summit Academy. All currently enrolled students are able to participate. We have amazing prizes donated by our vendor sponsors! Enroll with Summit Academy by March 1, 2019 and receive $2100 in educational funding! What do you think about Summit Academy? Please use this form to provide feedback on our program. 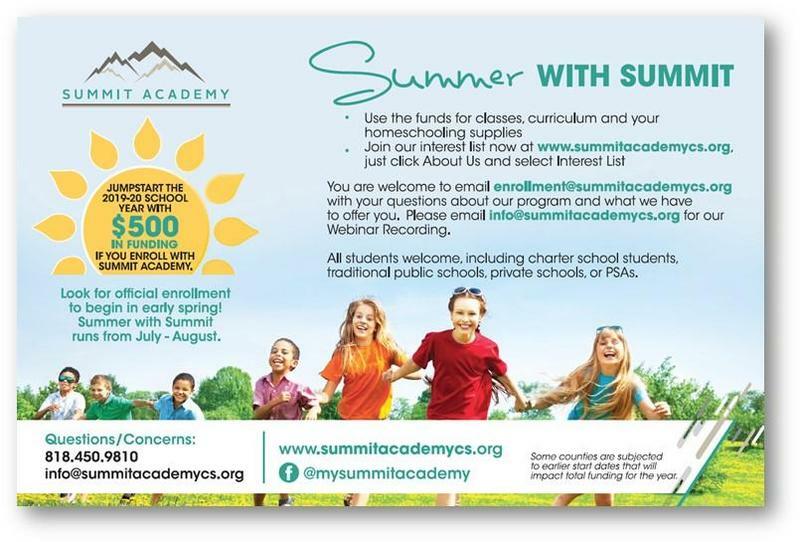 Summit Academy is offering for the 2018-19 school year $2800 (TK-8th) and $3200 (HS students) in educational funds. Funds provided by our program can be used towards classes, courses, materials and supplies with any of our approved vendors. Contact us today to get access to a webinar recording!